When you have clean soil, you have clean food! The farm started as a passion project to have the best food for the family and eventually the community. If you want clean food, we learned that clean soil is important too. This 2-day workshop tackles both subjects. It can be taken separately or together. We offer discounted rates for our accommodations for participants who register for both workshops! Both Workshops start at 8am to 5pm and is Php 2,500.00 EACH, inclusive of training fee, over 8 hours of classroom and hands-on activities, merienda, lunch, starter kit and organic farm tour. 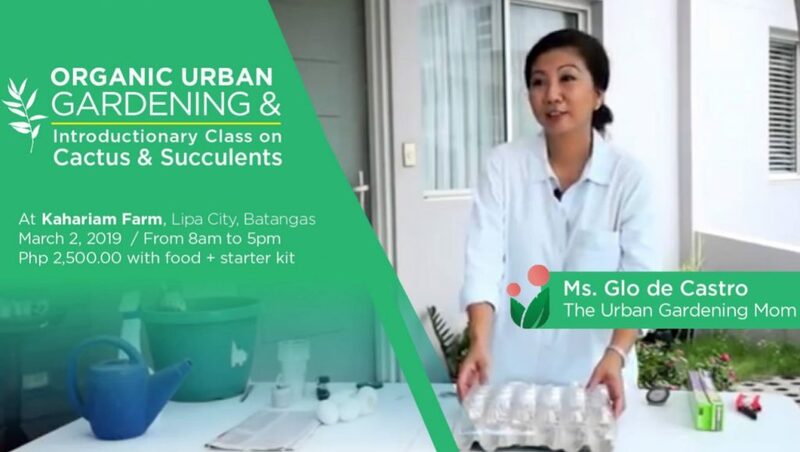 Ms. Glo de Castro known as the Urban Gardening Mom was featured on ABS-CBN’s Salamat Dok and will be leading us on everything urban gardening related! Watch her episode here. This workshop is perfect for anyone who wants to learn how to plant, care for it and manage those pesky pests! This is all taught organically for clean food and a safe environment. – With lots of hands-on activities for optimal learning! Workshop includes classroom and hands-on work at the farm. ***Want to spend the night at the farm? 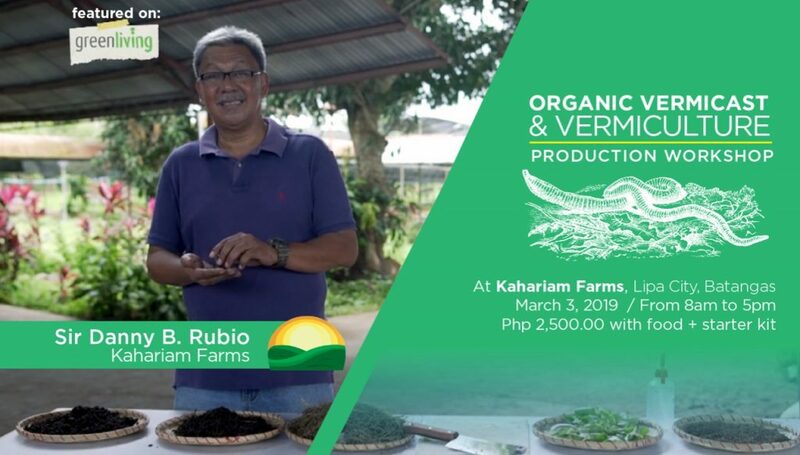 Danny Rubio from Kahariam Farms will be leading the workshop on everything related to vermicast and vermiculture. He was featured on ANC’s GreenLiving TV to share his passion on waste management. Watch the episode here. When you have clean soil, you have clean food! Soil matters and clean food matters! Vermicast is nature’s gift to us, that comes from the castings of amazing earthworms (also known as worm manure). It is an excellent soil enhancer and bioactive high quality fertilizer for organic farming and gardening. This is a perfect alternative to using chemical fertilizers. Your plants will love it and your body will love the food that you grow from it!